C & C Auto Detail, Inc. is a full service mobile carwash and auto detailer servicing the DC Metro and surrounding areas. Our superior detailing service uses only the highest quality products and unparalleled attention to detail to provide impressive results. Vehicles are serviced onsite so that means we come to you, convenience and quality service at your door. Personalized onsite service at affordable prices set us apart from the rest. You take pride in your vehicle, and so do we! Most people have their cars detailed to keep them looking in mint condition inside and out. At C&C Auto Detailing, we treat your car as if it were our own and provide a service that you will be proud to have and we will be proud to put our name on. We always come to your home, office or business. While we do require several hours to ensure top quality service on your vehicle, we try our best to work with our clients’ schedules. Auto detailing can be beneficial for anyone, but is especially convenient for those who have demanding schedules that do not allow for regular car cleaning. It is truly the easiest way to keep your car looking great while maintaining the highest level of protection. While we offer services comparable to competitors and quality that is second to none. Our value is absolutely unmatched. We are able to combine our amazing attention to detail with affordable prices that are considerably lower than anyone else around. With all of your choices for automotive detailing, you really can’t do better than C&C Auto Detailing.
" C&C Carwash and Detailing has exceeded all of my expectations for my vehicle. Curtis and his staff are dedicated to complete customer satisfaction. The service plans support my demanding work schedule. C&C's high quality work speaks for itself. I constantly receive positive feedback from friends, work colleagues, and neighbors. I look forward to a long and rewarding relationship with C&C! " "C & C has pampered my two BMWs as if they were their own. They take pride in their work and are very reliable, courteous and extremely professional. They set the standard for what a car detailing service should be." 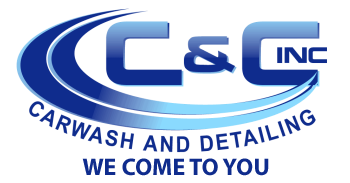 "C & C Carwash and Detailing have been an excellent find for us. They have done a superior job on our 5 cars and now my parent’s use them for their cars and my brother uses them for his company vehicles. The service is impeccable and the convenience of coming to your home to service the cars definitely saves me a lot of time! I would recommend C & C to anyone."